How can you prepare for life after work? It’s a good idea to think about when you when to retire or what season to retire. Apparently, the best season to leave the workplace is in spring or summer. It makes sense! It’s easier to be out and about, and active when the weather is finer and the days are longer. People who retire in spring and summer can transition better into retirement than those who do so in autumn and winter when it’s colder, wetter and the evenings are dark. Prepare for your retirement by easing yourself into it. Consider a phased exit from the workforce by reducing your hours per week from 5 days to 4 or even 3 if you can. Give yourself time to acclimatise by reducing your work schedule at least 12 months before your due to retire. This can be less stressful than coming to a stop all of a sudden especially if you’re working a 40 hour week one week and doing nothing the next. Start by leaving work on time. Stop taking work home unless it’s absolutely necessary and don’t work at weekends. Retiring from work could simply signal a career change. You might decide to employ your skills in a different area over fewer hours. You could try volunteering or mentoring. Even working part-time can have benefits that far out weight the financial advantages. The physical activity, social interactions, and a sense of purpose gained from working or volunteering can really benefit a person’s physical and mental health. Just because you retire from one occupation doesn’t mean you have to stop working. Our work makes up a significant part of our everyday life for a large part of our life and so it’s not surprising that it often defines who we are. When people retire they can lose their sense of identity which in turn leads to insecurity and a loss of confidence, even depression. That’s why taking the time to plan your retirement is crucial. If you haven’t already done so start making more time for the people in your life, increase the time spent on the things you enjoy, try new activities. Consider what’s important to you, what do you enjoy doing. As part of your retirement plan consider how you’ll fill your time. With no routine your more at risk of increased food and alcohol consumption as well as leading a more sedentary lifestyle. You should still maintain a routine every day, week, month but with a bit more flexibility. It could be as simple as committing to taking the dog for a walk every morning and evening, engaging in a weekly activity or two, addressing your anxiety and stress or decluttering your home. You can avail of those mid-week leisure breaks which can often work out cheaper. I know we keep harping on about it but planning financially for retirement is crucial. For a large majority of people, finances are their greater concern when it comes to retirement and it doesn’t stop when you retire. As you near retirement you should start thinking about the life you would like and how you plan to fund that life. You need your investments, assets and any alternative income to last throughout your retirement so you must weigh up the lifestyle you want against the assets you have and decide if this is sufficient for what you need. Review your pension contributions annually with a financial adviser. They will go through what you have in place, your options at retirement, advise if it’s enough or if not what you can do to top it up. They will also look at what benefits and tax reliefs you may be entitled to in retirement and will continue to help you manage your finances well into retirement. Even in retirement, your finances need to be working for you. This is not just for people about to retire, legal planning is important at any stage of life because we don’t know what’s going to happen. So, make a Will and consider setting up a Power of Attorney in case you’re ever in the position where you are unable to manage your affairs. Talk to your solicitor. If you own a business make sure you set out your intentions for that business and who will succeed you. Draw up a succession plan and review it annually. A large number of our social contacts are based in the workplace so it’s important to develop new social networks outside of work, especially in retirement. Many of us lead such busy lives that we don’t know the people next door or in our community. Do your research before you retire and see what organisations, activities, events are happening in your locality such as Active Retirement groups, Men’s Sheds, local Hubs (these are not just for retirees) or community groups. Try to maintain your independence, you shouldn’t have to rely on your partner for your social life and get involved. 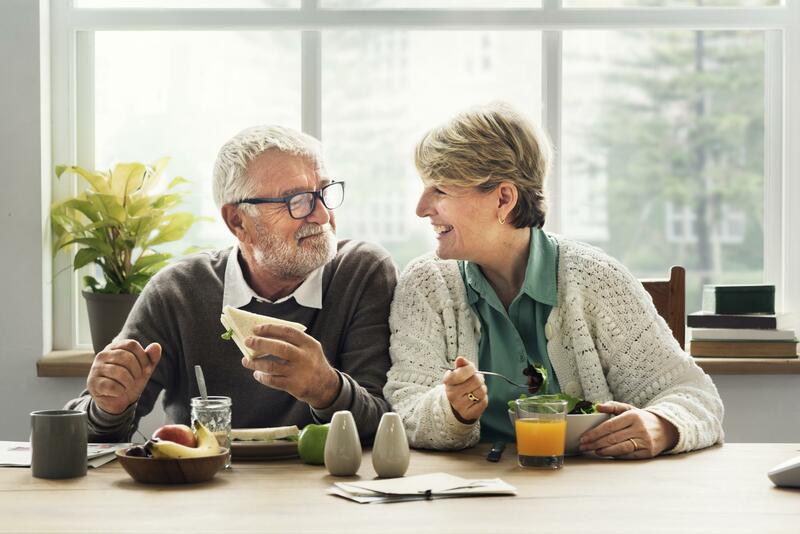 Retirement is a hugely transitional period, that can be daunting for some so it’s vital that you talk to your loved ones about your retirement plans. What will it mean for your partner, your children, your grandchildren? Your partner may have different expectations of your retirement than you. Discuss you’re plans with your partner and family as your retirement will affect them too. Many of the larger companies have retirement programmes to help employees with the transition. Speak to your employer about when you’re due to retire and ask if they have a programme you can engage with.